FLY LIKE AN EAGLE AND SOUR TO YOUR GREATEST HEIGHTS-CONSCIOUS SELF-HEALTHCARE M.O.V.E.S.!!! My name is Karen Khadijah Davis-Foulks, I am known as Dr. K the conscious self-health care educator, lymphologist, pioneer bioenergetics and bioinformational wellness specialist. I am the founder of the Ark of Self-Healing and Self-H.E.L.P. (Health Education for Longevity and Peace) established in 1997 a health wellness maintenance organization and ministry of disease care prevention. Founder of the Emancipate Yourself from Medical Mental Slavery Day (EYFMMSD) cell-a-brated on April 30th each year. April is also designated as Conscious Self-Healthcare and Lymphatic Cellular Wellness Month. Have you learned helplessness and hopelessness as a patient of disease care? … Break the mind training of helplessness and hopelessness and live in peace, joy, light, love, health and wellness. Tune into My Real Life Radio Show Heart 2 Heart Healthy Living – The Conscious Self-Healthcare “Conversation” Hour on www.innerlightradio.com the Healing Frequency on Wellness Wednesday from 4 pm to 5 pm EST. With host Karen Khadijah Davis-Foulks aka Dr. K, the one, and only Conscious Self-Healthcare Educator. I Did Not Go Down the Rabbit Hole of Pharmaceutical Disease Care. Call in and ask me why I didn’t? Make your donation here and get the E-Book . Bury disease thinking and care. 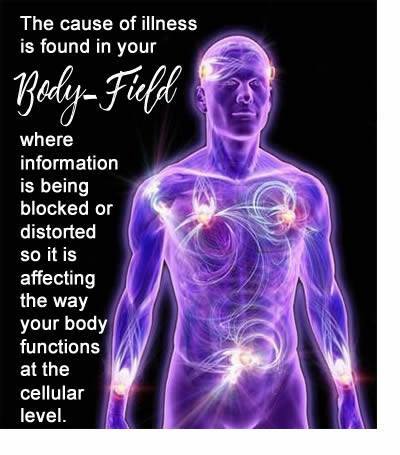 We all as humans can create cellular malfunctions. It is what you decided to do to assist the human body that will make the difference in your life here on planet Earth. "Conscious Living through Living Consciously" - Feelings Get The Blessings when you add the "Feel Good, Feel Better Infoceuticals" to your health program. Like our page www.facebook.com/EYFMMSD .